Presentation page Chronology of the Bible Maps Mini-Dictionary of the Bible Book introductions and outlines Easy-to-read text 32 full-color drawings bring biblical scenes to life 1,551 pp. Your Young Christian's First Bible-CEV-Children's Illustrated by American Bible Society was published by American Bible Society in April 2000 and is our 6467th best seller. The ISBN for Your Young Christian's First Bible-CEV-Children's Illustrated is 9781585160761. Be the first to review Your Young Christian's First Bible-CEV-Children's Illustrated! Got a question? No problem! 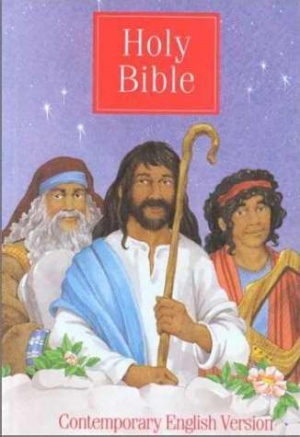 Just click here to ask us about Your Young Christian's First Bible-CEV-Children's Illustrated.